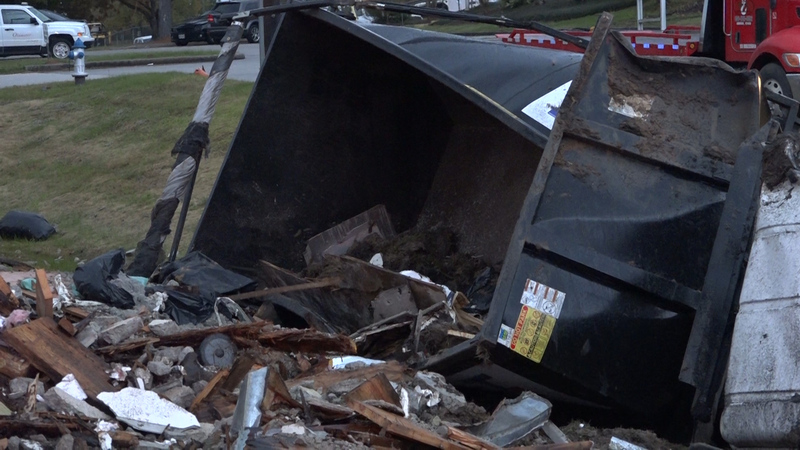 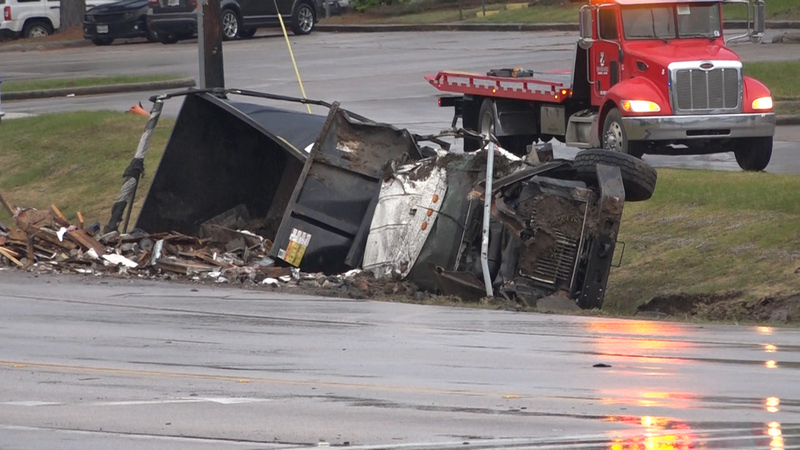 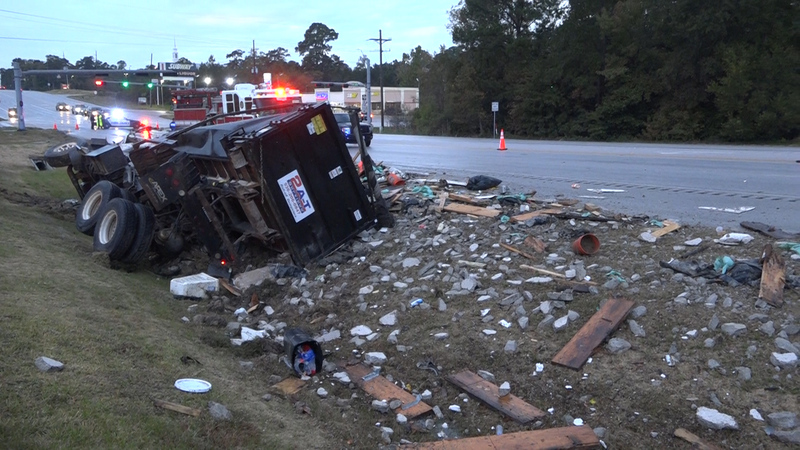 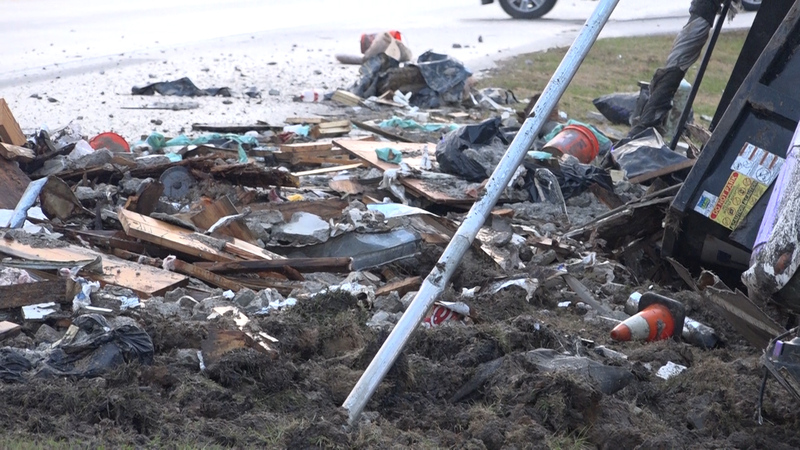 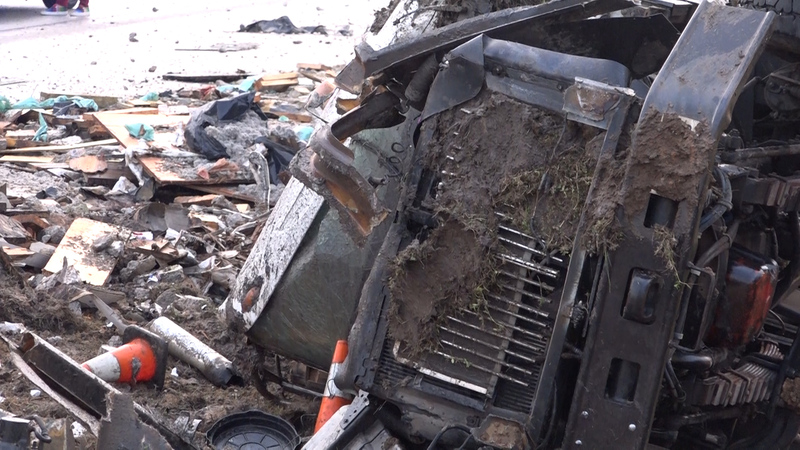 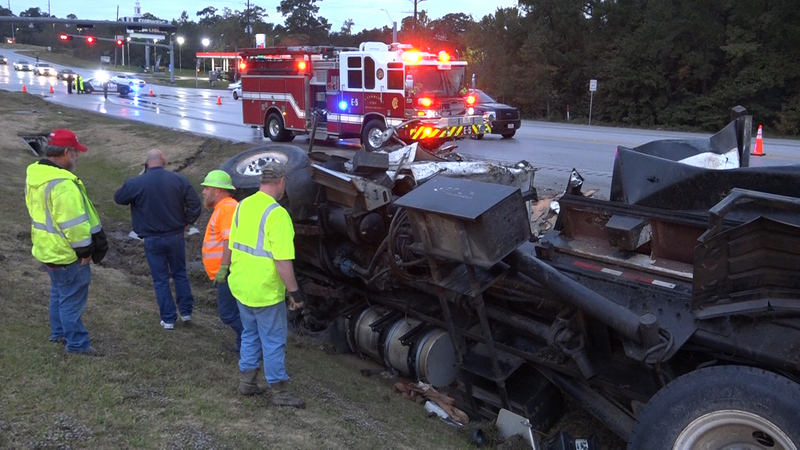 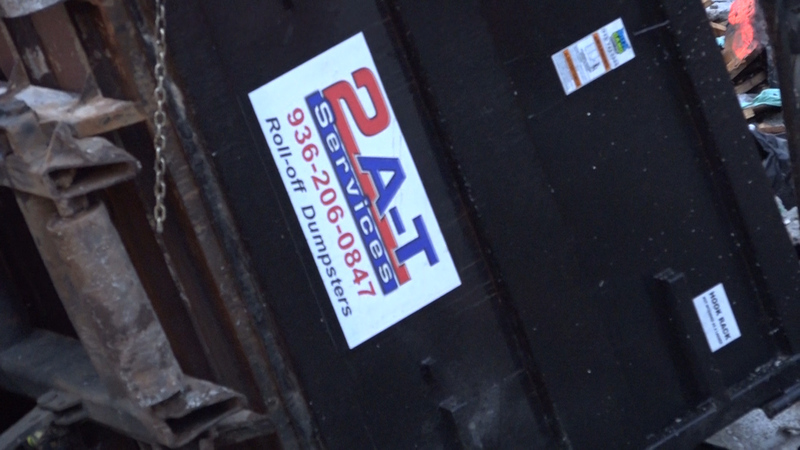 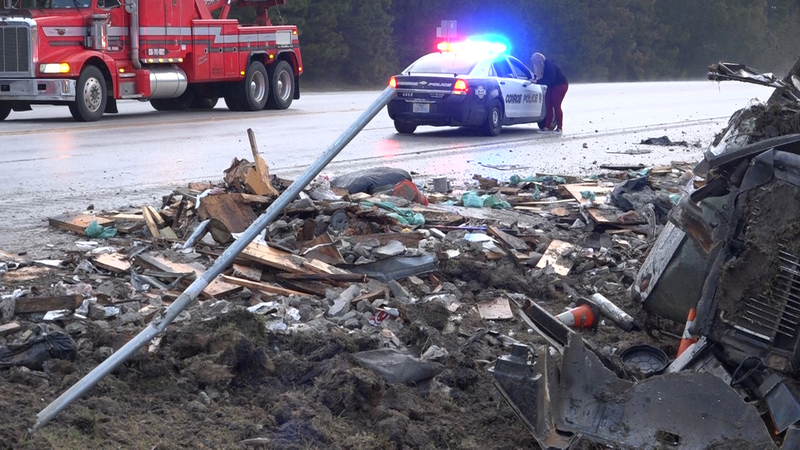 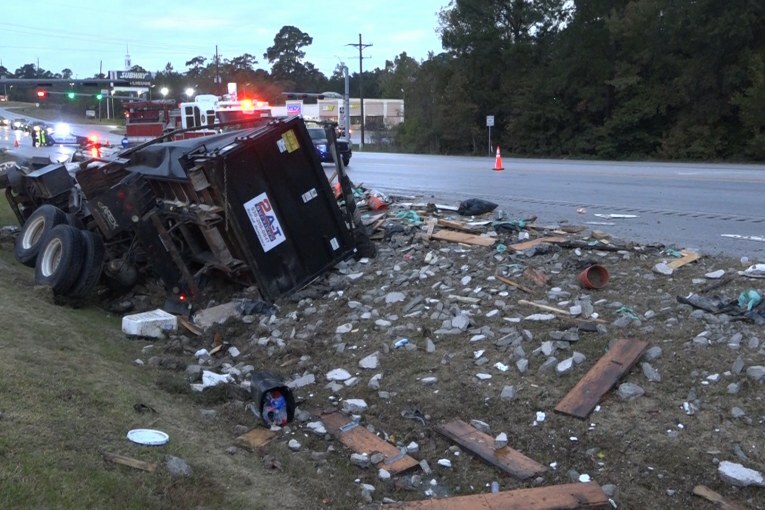 Just before 5 pm, Dustin Dempsey, of Willis was driving a roll off trash truck delivering his last load of debris to the transfer station in Conroe was involved in a crash. 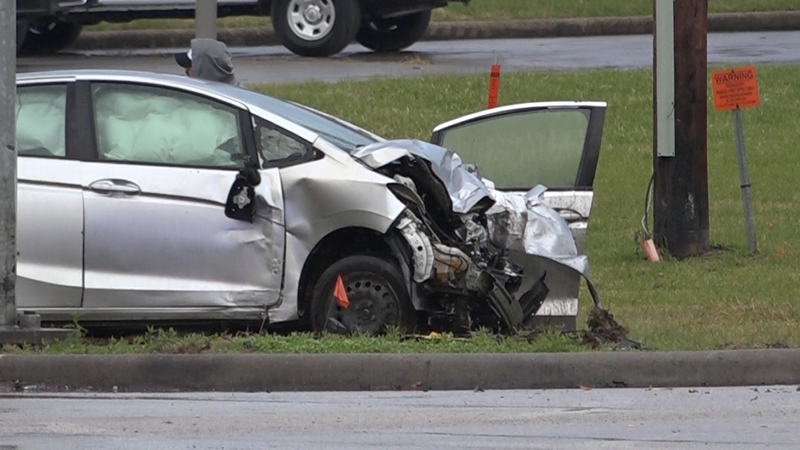 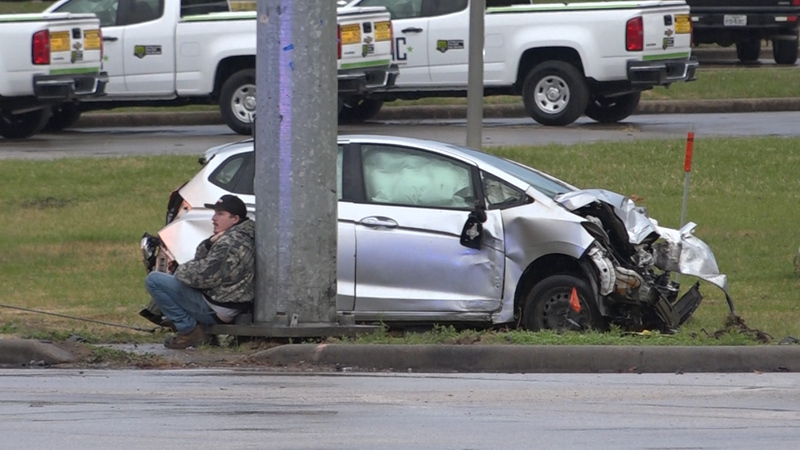 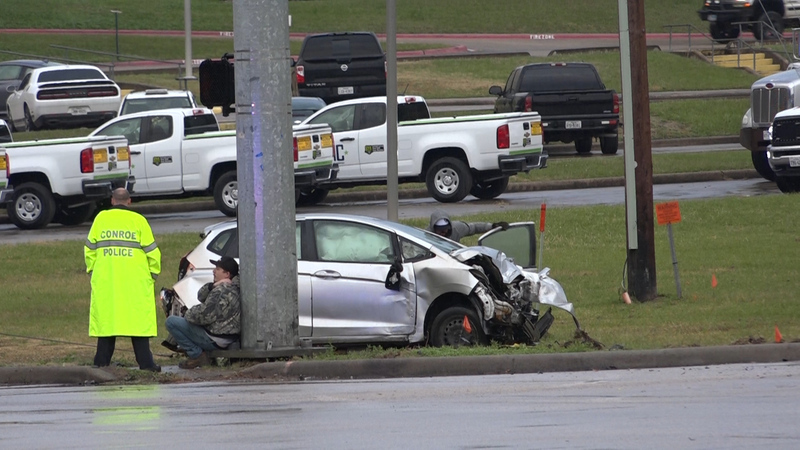 As the driver entered the intersection of FM 3083 and North Frazier, a passenger vehicle driving northbound on Frazier ran a red light and t-boned the truck. 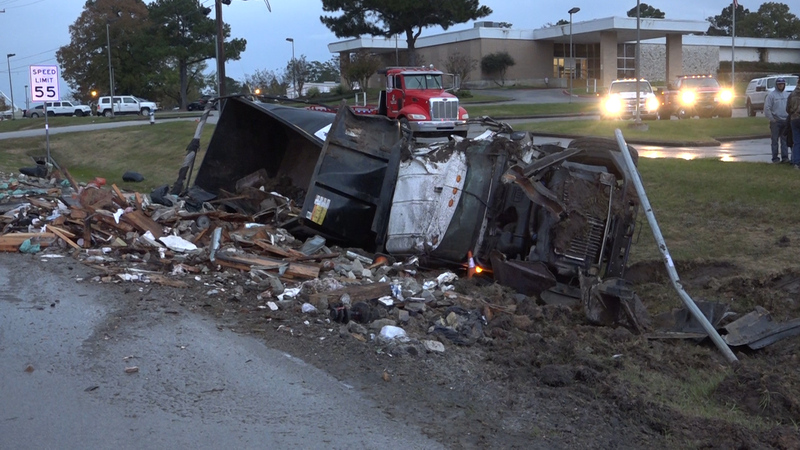 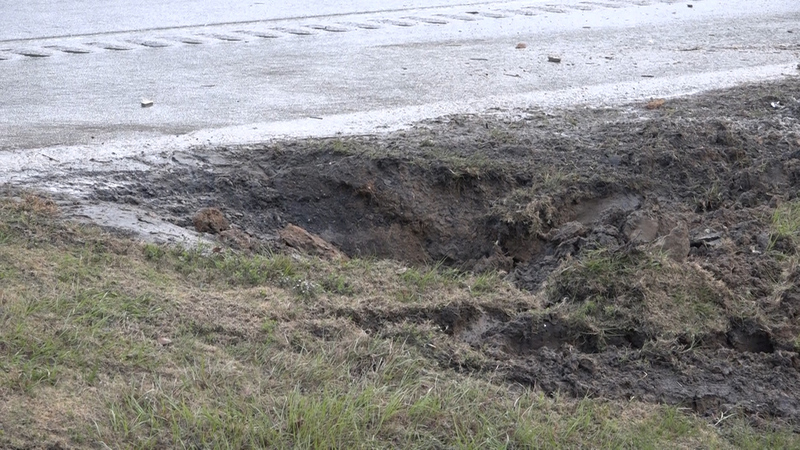 The truck ran off the side of the road into the ditch and rolled over. 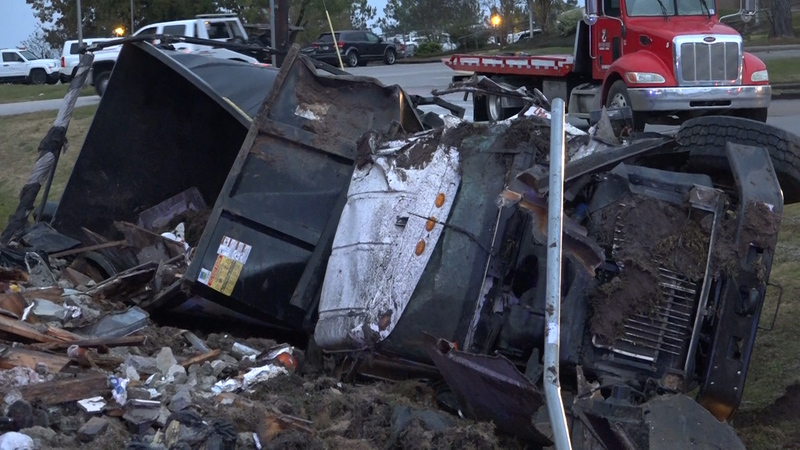 The cab was destroyed forcing the driver to have to climb out the back window, Neither driver was injured. 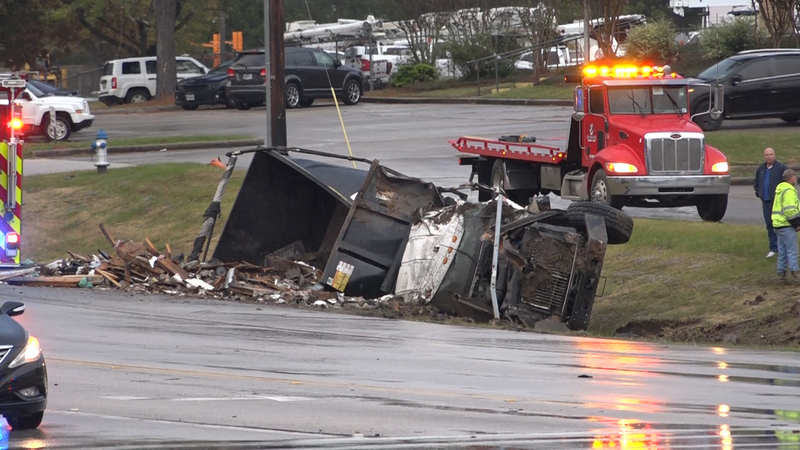 FM 3083 eastbound at Frazier remains closed and will be for several hours as crews clean up the dumped debris and Charlie Miller Heavy Duty Wrecker Service rights the damaged truck.